When you’re planning to buy a home—whether as a first-time home buyer or as a seasoned pro—deciding how much you can afford is a critical initial step. Once you know that, you’ll be able to find a mortgage tailored to fit your style. But figuring it out takes more than knowing your debt-to-income ratio. Real estate is an investment, and you need to know your risk tolerance when investing. Are you conservative, aggressive or somewhere in the middle? 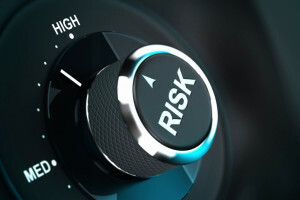 Here’s how to tell your real estate risk tolerance. Start by taking a look at your income level. If you make a higher income, you can afford to be an aggressive borrower, with up to 41% of your monthly take-home pay going toward your debts and 36% going toward housing expenses. If your income falls in the middle to lower range for your area, an aggressive plan may not work for you. How you make your income also factors into the equation. “If you have a steady base plus windfall income from bonuses, commissions or stock options, then the windfall income could be used as your ‘rainy day’ bucket, and pushing your debt ratio to 41% makes sense,” Fleming says. On the other hand, if your work is steady—but you don’t see a promotion or raise in your future—a moderate financial plan would suit you better. And if you’re self-employed, a conservative approach is best. “If someone is self-employed or on 100% commission, unless they have a superb, steady track record, I would never want to see them push the envelope,” she adds. Before you apply for a mortgage, take a hard look at how much you have—or haven’t—socked away. If you don’t have large cash reserves in your savings account, you’ll save yourself trouble later on by choosing a conservative mortgage. Your age is also an important deciding factor. If you’re younger, purchasing your first home, have many years of work ahead of you and feel like you’re in line for pay increases and promotions as you go on, choosing an aggressive plan may make sense. You’ll put more toward your debts and mortgage payments each month—but you’ll be able to build up equity faster. However, if you’re nearing retirement or already retired, this strategy may not work. “If you’re looking at retirement, you shouldn’t be using your current income to calculate your debt ratios—you should be using your projected retirement income,” Fleming says. This lower, more stagnant income might be better suited to a conservative financial approach. Once you know what type of borrower you are, realtor.com®’s Home Affordability Calculator can help you see what your mortgage and monthly expenses may look like. By plugging some basic financial information into the calculator and selecting your borrowing type, you’ll be able to see an estimated monthly payment breakdown—including principle and interest payments, property tax, home insurance and mortgage insurance. Use this tool to help you manage your real estate risk tolerance.